Dr Sakoff is an experienced cell biologist and Chief Hospital Scientist in the Department of Medical Oncology at the Calvary Mater Newcastle Hospital. Dr Sakoff is the leader of the Experimental Therapeutics Group. She has made significant contributions to cancer research particularly in the development of small molecules for the treatment of cancer. 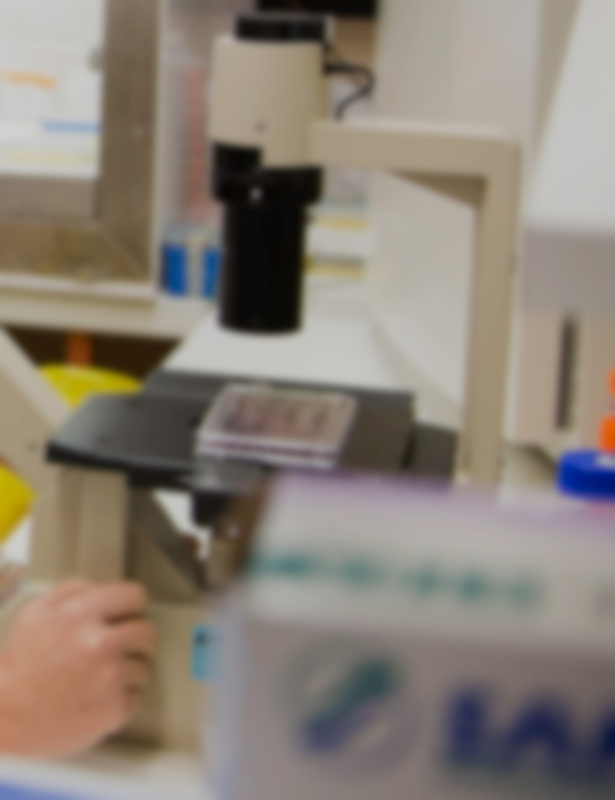 Areas of expertise includes cell culture, drug screening, cell biology, proteomics, cell cycle analysis, drug combination studies, clinical toxicity. Selected lectures in drug development. © 2018 The Authors. Bolinaquinone is a natural product that is a structurally complex, cytotoxic sesquiterpene quinone. A scaffold simplification and focused library approach using a microwave-assisted Suzuki coupling gave 32 bolinaquinone analogues with good-to-excellent cytotoxicity profiles. Mono-arylbenzoquinones, Library A, were preferentially toxic towards BE2-C (neuroblastoma) cells with growth inhibition (GI50) values of 4¿12 µM; only the 3,4-dimethoxyphenyl 23 and 3-biphenyl 28 variants were broad-spectrum active¿HT29 (colon carcinoma), U87 and SJ-G2 (glioblastoma), MCF-7 (breast carcinoma), A2780 (ovarian carcinoma), H460 (lung carcinoma), A431 (skin carcinoma), Du145 (prostate carcinoma), BE2-C (neuroblastoma), MIA (pancreatic carcinoma) and SMA (spontaneous murine astrocytoma). Library B with a second aryl moiety exhibited broad-spectrum cytotoxicity with MCF-7 cells¿ GI50 values of 5.6 ± 0.7 and 5.1 ± 0.5 µM for 2,5-dimethoxy-3-(naphthalene-1-yl)-6-(naphthalene-3-yl) 33 and 2,5-dimethoxy-3-(biaryl-2-yl)-6-(naphthalene-3-yl) 36, respectively. Similar potencies were also noted with 2,5-dimethoxy-3,6-diphenyl 30 against A2780 (GI50 = 5.9 ± 0.0 µM) and with 2,5-dimethoxy-3-(biaryl-3-yl)-6-(naphthalene-3-yl) 37 against HT29 (GI50 = 5.4 ± 0.4 µM), while the 3,4-dimethoxy mono-aryl analogue 23 exhibited good levels of activity against A2780 (GI50 = 3.8 ± 0.75 µM), the neuroblastoma cell line BE2-C (GI50 = 3 ± 0.35 µM) and SMA (GI50 = 3.9 ± 0.54 µM). Introduction of the amino-substituted Library C gave 2-(naphthalen-1-yl)-5-(naphthalen-3-yl)-3,6-bis(propylamino) 43, with excellent activity against HT29 (0.08 ± 0.0 µM), MCF-7 (0.17 ± 0.1 µM), A2780 (0.14 ± 0.1 µM), A431 (0.11 ± 0.0 µM), Du145 (0.16 ± 0.1 µM), BE2-C (0.08 ± 0.0 µM) and MIA (0.1 ± 0.0 µM). © CSIRO 2016. Plants from the family Myoporaceae, which includes the genus Myoporum, are extremely prized by the Australian Aboriginal people for their medicinal properties. Leaves from a plant, which was subsequently identified as Myoporum montanum, were provided for chemical investigation by representatives of an Aboriginal community from the Northern Tablelands district of northern New South Wales, Australia. Acetone extraction of the leaves provided a complex mixture of compounds including sesquiterpene hydrocarbons and more polar furanosesquiterpenes, which were identified by gas-liquid chromatography and retention indices (sesquiterpene hydrocarbons) and spectrometric techniques (furanosesquiterpenes). The major compounds found in a water extract were studied for their antibacterial activity using a disc diffusion assay and for their cell growth inhibition activity. The acetone extract contained sesquiterpene hydrocarbons (~30% of the total extract) in which the major compounds were germacrene-D and bicyclogermacrene. In addition, the extract contained five known toxic furanosesquiterpenes: myoporum ketol, (-)-10,11-dehydroisomyodesmone, (+)-10,11-dehydromyodesmone, 10,11-dehydromyoporum ketol, (-)-10,11-dehydromyoporone, and (±)-myoporone. An aqueous extract of the leaves, emulating the medicinal tea used by the Australian Aboriginal community, was found not to contain significant quantities of the sesquiterpene hydrocarbons and the most toxic furanosesquiterpenes. (±)-Myoporone and (-)-10,11-dehydromyoporone remained in the extract as well as a new furanosesquiterpene, 11-hydroxymyoporone. These three compounds were found to have significant antibacterial activity against Staphylococcus epidermidis, Enterococcus faecalis, and Moraxella catarrhalis but low cytotoxicity against a range of cancer cell lines and normal breast cells at 25µM. © The Royal Society of Chemistry 2016. We describe a simple flow chemistry approach to libraries of ethyl 3-oxo-2-(substituted-phenylamino)-3,4-dihydro-2H-benzo[b][1,4]oxazine-6-carboxylates (12a-l) and N-ethyl-3-oxo-2-(substituted-phenylamino)-3,4-dihydro-2H-benzo[b][1,4]oxazine-6-carboxamides (13a-l) in 38-87% yields. This scaffold is poorly described in the chemical literature. Screening against a panel of 11 cancer and one normal cell line showed that the amide linked library 13a-l was devoid of toxicity. Whereas the ester linked analogues 12b, 12c, 12g, 12j and 12l were highly cytotoxic with growth inhibition (GI50) values from 0.34 to >50 µM across all cell lines, with the 2-OH-Ph substituted 12l analogue presenting with sub-micromolar potency against the A2780 (ovarian; 0.34 ± 0.04 µM), BEC-2 (glioblastoma; 0.35 ± 0.06 µM), MIA (pancreas; 0.91 ± 0.054 µM) and SMA (murine glioblastoma; 0.77 ± 0.029 µM) carcinoma cell lines. Interestingly, the U87 glioblastoma cell line showed inherent resistance to growth inhibition by all analogues (GI50 32 to >50 µM) while the A2780 cells were highly sensitive (GI50 3.8-0.34 µM), suggesting that the analogues developed herein may be valuable lead compounds for the development of ovarian carcinoma specific cytotoxic agents. The differences in amide versus ester cytotoxicity was consitent with esterase cleaveage to release the cytotoxic warhead. © 2015 WILEY-VCH Verlag GmbH & Co. KGaA, Weinheim. We have developed six dihydroxidoplatinum(IV) compounds with cytotoxic potential. Each derived from active platinum(II) species, these complexes consist of a heterocyclic ligand (H L ) and ancillary ligand (A L ) in the form [Pt(H L )(A L )(OH) 2 ] 2+ , where H L is a methyl-functionalised variant of 1,10-phenanthroline and A L is the S,S or R,R isomer of 1,2-diaminocyclohexane. NMR characterisation and X-ray diffraction studies clearly confirmed the coordination geometry of the octahedral platinum(IV) complexes. The self-stacking of these complexes was determined using pulsed gradient stimulated echo nuclear magnetic resonance. The self-association behaviour of square planar platinum(II) complexes is largely dependent on concentration, whereas platinum(IV) complexes do not aggregate under the same conditions, possibly due to the presence of axial ligands. The cytotoxicity of the most active complex, exhibited in several cell lines, has been retained in the platinum(IV) form. © 2015 WILEY-VCH Verlag GmbH & Co. KGaA, Weinheim. Platinum anticancer complexes incorporating 2,2&apos;-bipyridine (bpy), 4,4&apos;-dimethyl-2,2&apos;-bipyridine (44Me<inf>2</inf>bpy) or 2-(2&apos;-pyridyl)quinoxaline (2pq) as polyaromatic ligands and the S,S or R,R isomer of 1,2-diaminocyclohexane as ancillary ligands in the form [Pt(P<inf>L</inf>)(A<inf>L</inf>)]<sup>2+</sup> have been synthesised and characterised. X-ray diffraction was used to elucidate the structure and stacking behaviour of the complexes, revealing interesting properties that may impact their biological activity. Pulsed gradient spin-echo NMR experiments elucidated the aggregation behaviour of these complexes in solution. The cytotoxicity of each complex was assessed against the L1210 murine leukaemia, HT29 human colon carcinoma and U87 human glioblastoma cell lines and compared to other complexes within this class. The complexes incorporating 44Me<inf>2</inf>bpy were found to be the most potent at inhibiting cell growth with IC<inf>50</inf> values for the S,S isomer (0.13-0.5 µM) less than that for cisplatin (0.36-11 µM), oxaliplatin (0.9-1.8 µM) or carboplatin (>50 µM). Most complexes were found to be very effective against HT29 colon carcinoma cells. © 2015 Elsevier Ltd. Abstract An efficient and divergent methodology for the synthesis of new anthracenone-pyranones and anthracenone-furans is described. Key reactions discussed in these syntheses include an aldehyde promoted annulation with a ß-keto-sulfoxide, a domino alkyne insertion/carbonylation/Nu-acylation and a DMEDA promoted Castro-Stephens reaction. We also report the in vitro growth inhibition of these compounds in a range of human cancer cells. The natural product BE-26554A displayed good cell growth activity on BE2-C neuroblastoma and SMA glioblastoma cell lines at 0.17 and 0.16 µM (GI50), respectively. Of note, were a CF3 functionalised anthracenone 4-pyranone (chromone) derivative 22, and an anthracenone-furan derivative 54 which displayed 0.20 µM and 0.38 µM growth inhibition, respectively, in the BE2-C neuroblastoma cell line. The Knoevenagel condensation of a series of substituted phenyl acetonitriles with 1H-pyrrole-2-carbaldehyde was examined in seven 1-butyl-3-methylimidazolium based ionic liquids and three protic ionic liquids. Of these [BMIM][Br] and [BMIM][OH], with catalytic piperidine, proved most efficient affording 3-substituted-(1H-pyrrol-2-yl)acrylonitriles 3-17 in good to excellent yields (98%) whilst utilisation of the protic ionic liquid propyl ammonium nitrate resulted in reduced yields (0-66%). Screening of the 3-substituted-(1H-pyrrol-2-yl)acrylonitriles analogues 3-17 against a panel of 11 cancer cell lines and one normal cell line allowed the identification of a series of compounds with broad spectrum cytotoxicity, but more interestingly a significant degree of MCF-7 breast cancer cell line specificity was evident with 6 (7 to >25 fold) and 13 (5.7 to >80 fold). Other analogues show high level of efficacy against specific cell lines with 10 showing excellent activity against MCF-7 (GI50 = 1.7 µM) and A431 (GI50 = 2.8 µM) cell lines. The most promising of the compounds identified herein were the 4-CF3 substituted 10 and the 3,4-dichloro substituted 13 with excellent activities against MCF-7 and A431 cell lines. The 3,4-dichloro-13 was a 0.56 µM potent inhibitor of MCF-7 cell growth. © 2014 the Partner Organisations. Oroidin (1), (E)-N-(3-(2-amino-1H-imidazol-4-yl)allyl)-4,5-dibromo-1H- pyrrole-2-carboxamide, is a pyrrole alkaloid isolated from the marine sponge Agelas oroides. Routine screening in a panel of twelve cancer cell lines revealed 1 to be poorly cytotoxic with the 50% growth inhibition concentration (GI) of 42 µM in MCF-7 (breast) cells and 24 µM in A2780 (ovarian) cells and >50 µM in all other cell lines tested. The development of eight focused libraries comprising thirty compounds total identified N-(biphenyl-4-ylmethyl)-1H-pyrrole-2-carboxamide (4l), N-benzyl-4,5-dibromo-1H- pyrrole-2-carboxamide (5a) and N-(biphenyl-4-ylmethyl)-4,5-dibromo-1H-pyrrole-2- carboxamide (5l) as potent inhibitors of cell growth in our panel of cell lines. Of these compounds GI values of <5 µM were observed with 4l against HT29 (colon) and SW480 (colon); 5a against HT29; and 5l against HT29, SW480, MCF-7, A431 (skin), Du145 (prostate), BE2-C (neuroblastoma) and MIA (pancreas) cell lines. As a cancer class, colon cancer appears to be more sensitive to the oroidin series of compounds, with analogue 5l being the most active. © 2014 Elsevier Ltd. All rights reserved. Serine/threonine protein phosphatases have long been ignored as potential therapeutic targets for two reasons, one the biochemical significance of these proteins has not been appreciated and two, many natural protein phosphatase inhibitors are potent toxins and are considered unsuitable for clinical use. This review outlines the biochemical role of this protein family in cancer, cystic fibrosis, immunosuppression and, cardiac and neurological disorders. Particular emphasis is also given to the synthesis of selective small molecule inhibitors and their clinical exploitation.